My entire life I have felt “different” I’ll say, for lack of a better word. In a lot of ways I also know that I am. I can be in a room of people and at times I feel as if I know deep within myself, I don’t belong here. It’s an overwhelming and undeniable feeling. It’s not at all that I feel I am above anyone or anything. It’s usually quite the opposite. I have discussed this at times with others who say they feel the same. So, if you ever hear me say, “yes, I’m a little different, but in a good way” – through reading this you will have a better understanding of why. I also have an undeniable knowing that there’s an agenda higher and greater taking place in all of our lives, and I yearn to understand the full meaning of it all. I sometimes feel if I could just be quieter or more still, I could hear or see it clearer. It is at these times, I revert to solitude and take the questions and answers I seek, to my maker. I am thankful for the answers I often receive. Although sometimes the answers are not what I, in my human perception foresee (or at the time, want) the outcome to be. However, I do fully know on a deeper level – that everything really does happen for a reason – and through acceptance of that higher power at work in my life, I move on with perseverance, hope and faith. I know beyond a shadow of a doubt we are all being led. Some refer to it as divine intervention, divine flow, a divine plan, or many other terms. It is written (and I believe) we are all given signs and in that divine flow of our life, we have been given free will which affects the outcome of our destiny. I believe this and on another level actually “live” it within the Intuitive Counseling work I do. I am still and know I will always be in awe of the validation of Spirit present in my life. I have had so many lessons, and I mean really hard lessons, in this lifetime. I have also had literally thousands of occurrences that have taken place in my life which I know should already be written down. Some are and some are still in snippets here and there. In time many of these will be shared. I look forward to this task, but for now I am being guided to write about the interconnectedness and sometimes subtle signs happening in and around each of us constantly and how important it is that we recognize and learn from these signs. Sometimes it feels like a sense of urgency and other times it’s a calming presence that calls out to me to follow. More often than not, I follow this “calling” I feel and the outcome again, more times than not, most definitely could and should be categorized in the column of miracles. Rainbows have always been something I hold very dear for many reasons. Since I was a child, I have been able to see colors emanating from and around people which are known as auras. It was shown to me as being symbolic of the promise of life God gave us in not causing another flood. And I see auras and the rainbows they are made up of around people as us actually “living” in that same promise. To me, it’s all really quite beautiful and very symbolic of all the things going on around us on a deeper and spiritual level that can only be perceived through allowing the door to faith in the unknown to guide us. I have dozens of pictures of rainbows I have taken throughout the years. One which is very special is when I was on my way to visit my dad when he was very close to crossing and there was this magnificent double rainbow in the sky. I pulled over just to sit and look at its beauty and took some photos of it. It’s funny though and in my opinion, photos never seem to capture how beautiful rainbows really are. When my boys were babies and as they grew, we had a special routine we would follow every night. We would lay together before bedtime and I would read to them and then we would turn out the light and play lullaby music and sing. One of the songs we sang was “Somewhere Over The Rainbow.” This song always made me feel close to heaven for some reason . . . and still does to this day. In the Summer of 2004, I was invited to a dinner party by some very dear friends. It was my first time going to the home of the host giving the party. One of the first things I couldn’t help but notice when I arrived was the beautiful music playing in the background. I was even at one point actually drawn to the CD player and just stood there to listen. I did not recognize who the artist was and asked. I was told it was Eva Cassidy. I had never heard of her or any of her music. It played on and soon thereafter, I heard the most beautiful rendition I had ever heard of the “Somewhere Over The Rainbow” song. It made chills run all over me. Over the next few days I could not get the music of Eva Cassidy out of my mind. It was like it just haunted me. I then purchased several of her CDs and listened to them often over the next several passing days and weeks. One night toward the end of the Summer, I dreamed Eva Cassidy was sitting at the foot of my bed. While she sat on my bed, she kept using her hands and arms to make gestures to her upper leg areas. I remembered telling her I didn’t understand what she was trying to show me and she smiled and said, I would. While she sat there she also sang “Somewhere Over The Rainbow” for me. When I woke up, I sat up in my bed and I cried. It was like I had just heard an angel singing, along with a very overwhelming experience. I tried to go back to sleep and could not. I was restless for hours and finally morning came. The dream I had of her was what I’ve come to know over the years as a dream “visitation.” I knew her visitation was one of those occurrences that would forevermore be apart of my life. As the day went on, I felt more and more unsettled. It was how I feel when I know I am not “getting” what it is I’m being shown and I knew the feeling would not go away until I had followed through with what I was being guided to do and learn. I finally gave in and went to my office and sat down at my computer and did a search for “Eva Cassidy.” When I found her website, I was astonished to learn she really was singing like an angel, because she was singing through her heavenly voice that night she came to me. In fact, she had died in 1996 from Melanoma, the most deadly form of skin cancer. In reading her biography, I learned in 1993 she had a malignant mole removed from her upper back and over the progression of three years the Melanoma cancer spread to her lungs and bones. And more specifically (to me) was the statement that her hip area was where she first noted the onset of pain associated with the Melanoma cancer. When I read this, I had those same chills run over me and that often icy feeling on the back of my neck I get when I know to pay attention. At the time she had appeared to me in the dream visitation, I didn’t put it together that she was in spirit and she was delivering an important message. When I finally learned through the nudges I was receiving, what took her from here, then I also knew why I had experienced those overwhelming feelings I’ve felt many times before and also knew why it was so important for me to listen. She was delivering a message which I personally was supposed to hear, loud and clear. I’ve been very blessed to have Eva Cassidy with me both in dream visitations and in Spirit many times since our first encounter. Each time, I experience such a heart felt gratitude for her presence in my life. I know she played a major role in the deciding factors of me still being here, when in fact if I had not taken heed to the signs and guidance I was being given, the outcome could have definitely been much different. I invite and encourage everyone to listen to the beautiful music and legacy of Eva Cassidy, and too also pay attention to those sometimes subtle nudges and signs we all receive. They could very well change or even save your life. When we take the time to pay attention, we see the signs all around us. We all also have loved ones guiding us in spirit and they too are encouraging us to recognize their presence in our lives. To some all this may sound strange, but in my life, it’s actually quite common to see spirits and have dream visitations. These are among the experiences in my life, I’ve come to welcome. My life now and always has been a combination of walking between the physical and the spirit world. This is a lot of the reason why I feel and know I am “a little different, but in a good way.” Sometimes it’s hard living among and between the rainbows of both worlds. And yet I’ve chosen to welcome this gift and all that it brings. I also welcome and so look forward to all the paths this life is guiding me on and all the people I’ve still yet to encounter – both in this world and the other. Bio: Pamela Nine is an internationally recognized Professional Intuitive Counselor, Medium, Educator and Writer. 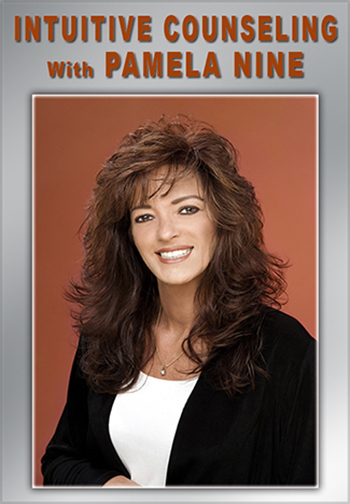 She has been in the wellness profession for more than thirty years and is the Owner of Nine Wellness in Knoxville, TN. Pamela is available for Telephone, Personal and Group Intuitive Counseling Sessions. She is also available for Workshops, Classes, Lectures and Group Intuitive Counseling Sessions throughout the United States and abroad. For additional information, appointment scheduling, event bookings and media appearances, contact Pamela by telephone: 865-531-9086, email: pamelanine@msn.com or online at: www.pamelanine.com. Article: “The Rainbows Of Both Worlds” Copyright © 2012-2017, Pamela Nine. All Rights Reserved.